McKinney Boyd is proud to partner with Collin College for our Dual Credit program. Below are enrollment instructions and class offerings. 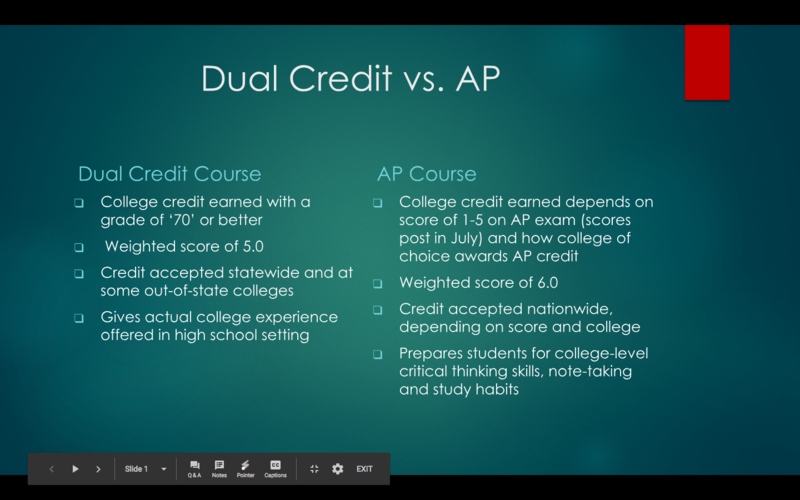 For more info, visit Collin College's Dual Credit page. Our counselors coordinate Dual Credit enrollment from McKinney Boyd. In addition to our counselors, dual-credit questions can be directed to Ms. Cislo (mcislo@mckinneyisd.net). 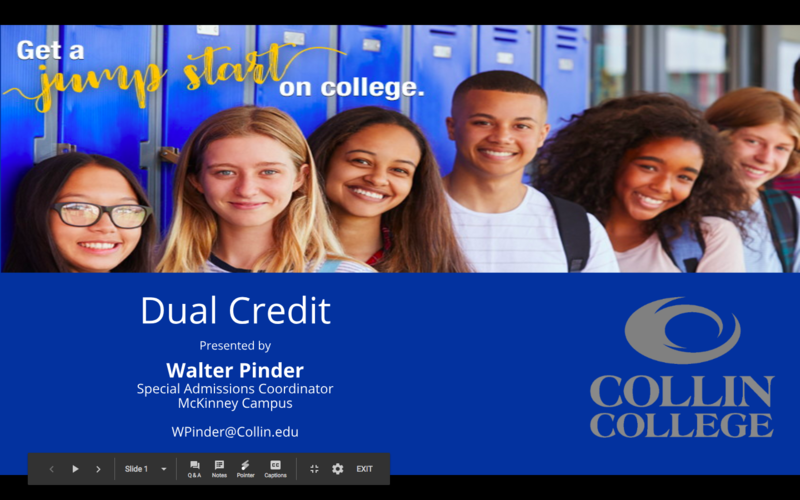 Collin College's Dual Credit coordinator for McKinney Boyd High School is Walter Pinder, Special Admissions Coordinator (wpinder@collin.edu).